April Verch, Annie Lou, and Cara Luft are all acclaimed artists on the Canadian musical landscape. Each has forged her own path of deep connection to traditional North Americana – branches on the same tree, grown up from the roots and reaching up and out in different directions. Now they are coming together to twine those branches and bring audiences a dynamic and masterful program of extraordinary songwriting, intricate harmonies, fiddle and banjo, guitar and dance. In the fall of 2018, Annie Lou had the opportunity to perform as a guest on Verch’s tour of Ontario. The musical sparks flew, and brought the inspiration for further collaboration. Enter Cara Luft, and Heartship was born, bringing together the considerable talents of three superb musicians and songwriters. Heartship – the vessel for the heart’s passage through the best and the worst of times, carried on the winds of music and dance. Home From Far celebrates these women’s shared and strong conviction that “home” is something we carry with us, even as we travel far from our roots, from our loved ones – wherever we may go. As touring artists, April, Annie Lou and Cara will be the first to tell you that the community created through music, dictates a sense of home as real as where one grew up or hangs their hat. The music and stories in this concert will manifest what each of these artists has garnered of home. In various musical configurations they will explore how home is what brings us together, but also sets us apart, inviting the audience on a journey that will bring everyone a renewed respect of what “home” means to them and those around them. For over two decades, fiddler, singer, step dancer and songwriter, April Verch has been recording and captivating listeners worldwide. Verch’s signature sound blends together regional Canadian, American old-time, bluegrass, country and Americana, resulting in a well-rounded tour-de-force of traditional sounds. On stage is where her diverse repertoire comes to life, with a presence that is versatile, robust, and masterfully executed. Her ability to preserve the authentic folk traditions of the past and reintroduce them into the musical landscape of the present is a testament to her masterful musicianship and widespread appeal. Cara Luft is an award-winning musician, singer and songwriter, a plucky performer with an impish sense of humour and a founding member of two Canadian folk super-groups: The Wailin’ Jennys and The Small Glories. Brought up by folk-singing parents in a vibrant music community, Luft has a spirit that drives her to connect with people, and for this she is loved everywhere she goes. She is one of Canada’s hardest working musicians, armed with amazing tenacity, vision, energy and a contagious hilarity. Cara’s the real deal, there’s nothing pretentious about her. And that sense of honesty, integrity, personality and spontaneity permeates both her music and her live shows. Combining a deft melodic temperament with skill and verve on banjo and guitar, songwriter Annie Lou shines a keen eye and a warm heart on our lives and times, mapping a lively path through the moments in which we recognize ourselves, and where we can laugh, cry, and connect. Her ballads, tunes, and songs are painted with a palette of oldtime, folk and bluegrass, and her vocal warmth ranges from sweet and plaintive to raw and powerful. Onstage she invites you in with grace and humour, delivering a compelling and poignant performance filled with pluck, groove, and tenderness. A multiple nominee for CFMA, WCMA, and Juno awards, Annie Lou is also a fine caller of southern style square dances, and will call anytime anyone is willing to dance. 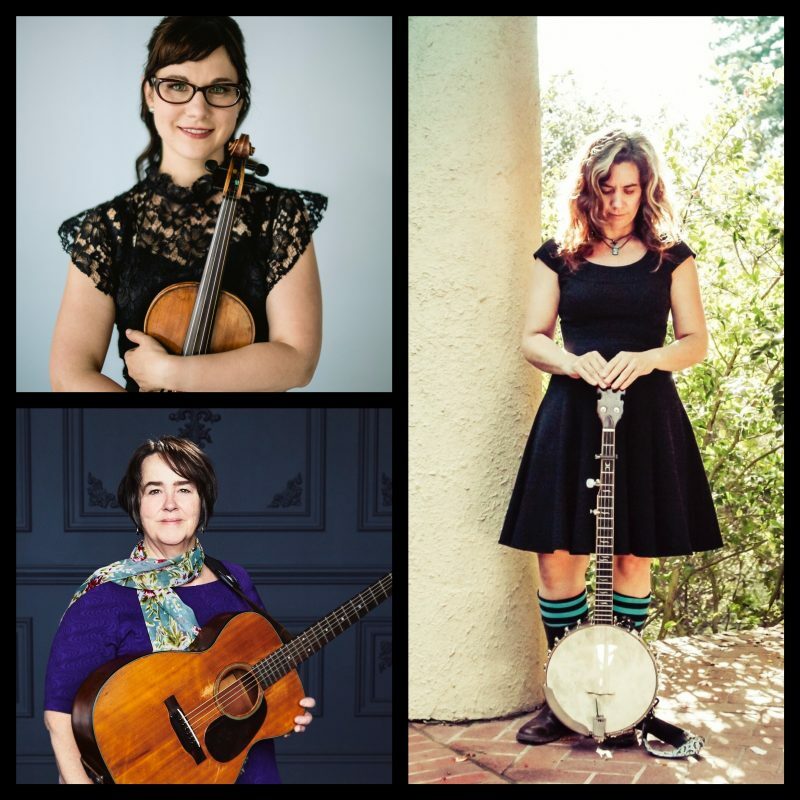 With the support of world-class musicians Cody Walters on upright-electric bass and banjo, and Alex Rubin on guitar, these three powerhouse women will lift the roof and knock off your socks. Heartship: Home From Far is bound to carry you home with a smile on your face, a soaring in your heart, and music in your ears.